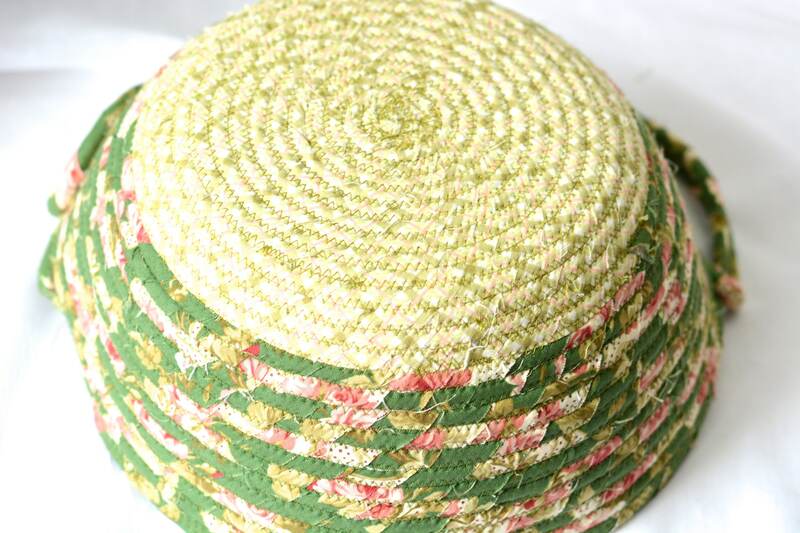 Artisan Coiled Handled Basket! 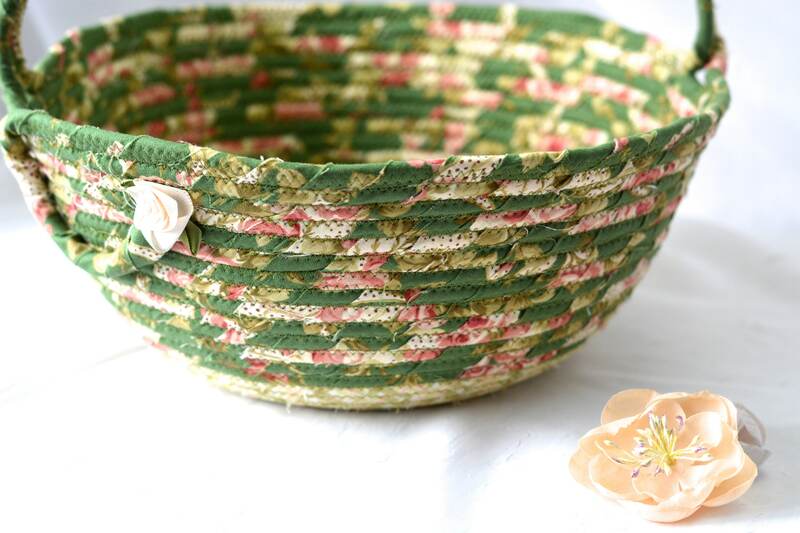 Lovely Green Floral Basket! 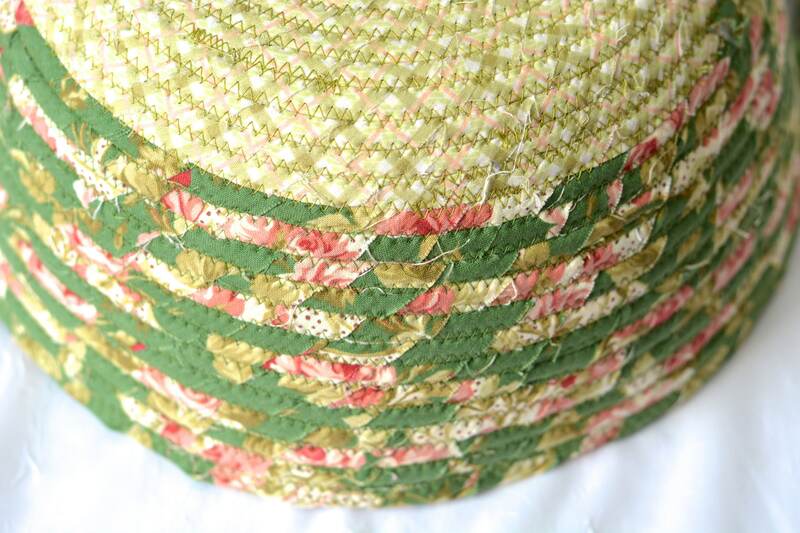 I hand wrapped these lovely green floral fabrics around cotton line, which I then hand coiled and machine sewed to make it sturdy. I used the raw edge technique with a little fray for a nice shabby chic texture. 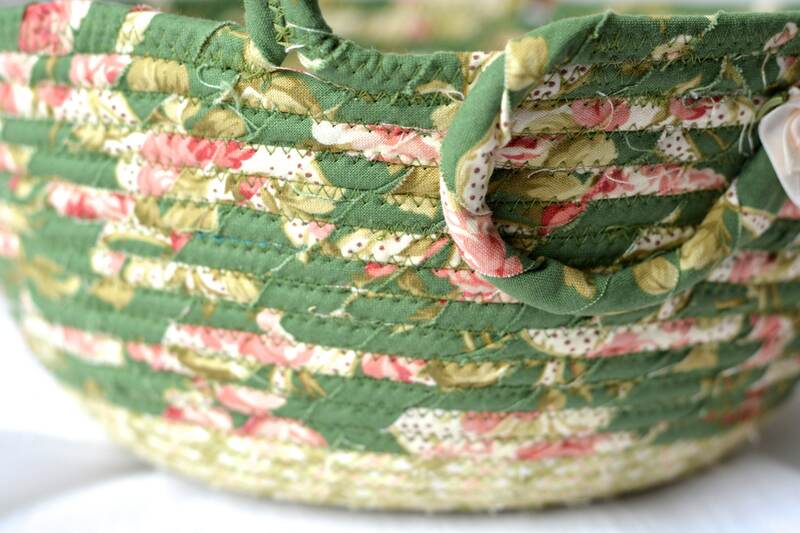 I just love these pretty fabrics, all are 100% cotton and all show on the inside of the basket too! 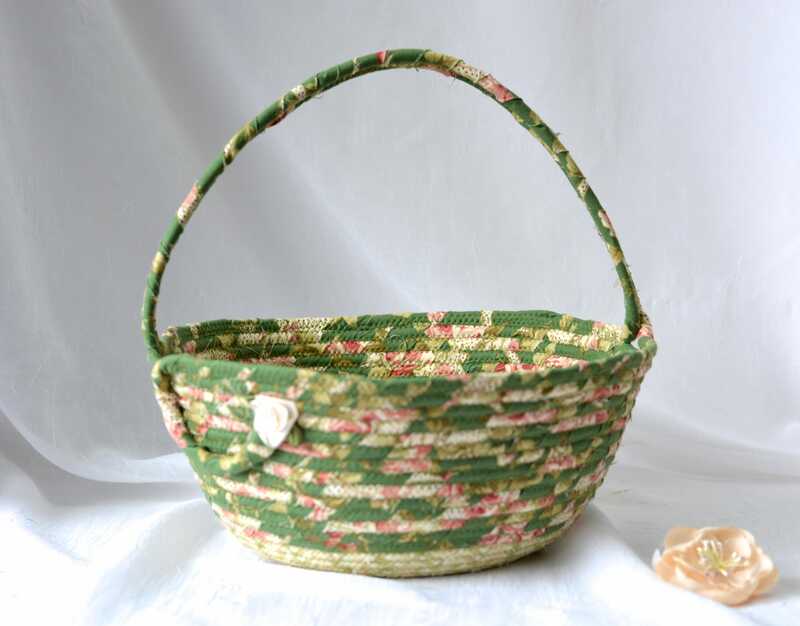 The cute flower on the basket is included for a lovely accent. Great Shabby Chic wedding decor! 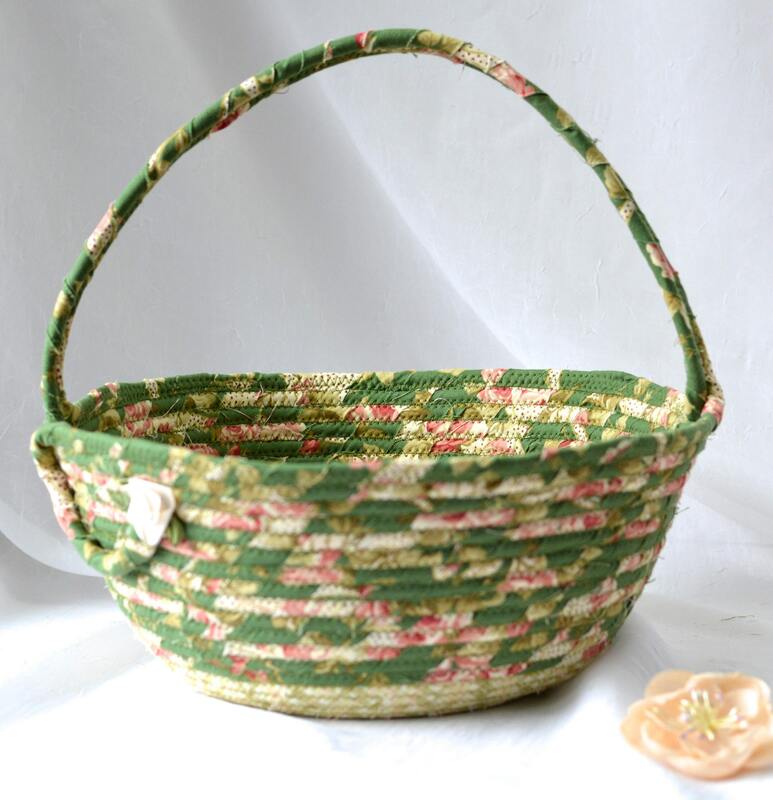 English Garden Floral Basket! 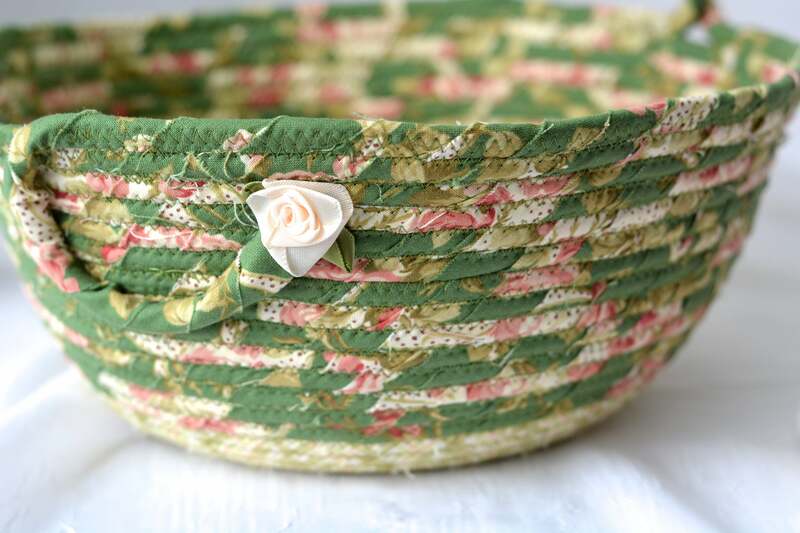 Lovely Keepsake Flower Girl Basket! I designed and created this unique basket in my smoke-free home studio. 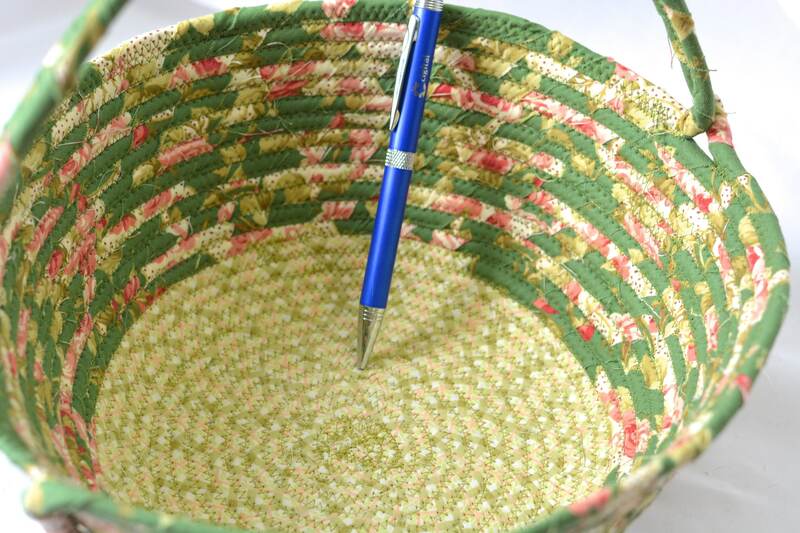 The handle is flexible, it folds to the side for easy storage. I offer gift wrapping at an extra charge of $5. I ship in clean recycled boxes to keep shipping costs low.